Banks: Bank of Nova Scotia, Barclays Bank PLC, Royal Bank of Canada, St. Kitts-Nevis-Anguilla National Bank Ltd., Bank of Nevis Ltd., Nevis Co-Operative Banking Co. Ltd. Banking hours are Monday through Thursday from 8:00 am to 3:00 pm and Friday from 8:00 am to 5:00 pm. 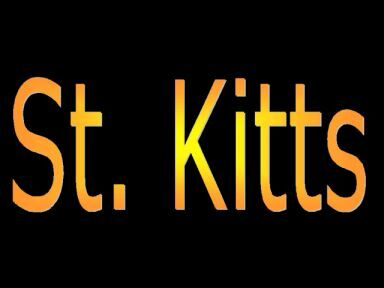 The St. Kitts & Nevis National Bank is also open from 8:30 am - 11:00 am on Saturdays. Television: Most hotels have the usual American cable channels, including premium movie channels. Drinking Water: Safe spring water comes from numerous volcanic springs. Telephones: Calling the U.S. is easy from St. Kitts & Nevis. Most hotels offer USA Direct calling service, or they can connect you with a U.S. operator. Tipping/Gratuities: Same as in the US--10% to 15%, depending on the service. Some restaurants and hotels will automatically add a 10% gratuity. If you are in doubt, do not feel uncomfortable asking. Usually, porters and bellhops receive 50 cents per bag, taxi drivers 10-15% of the fare. Time Zone: Atlantic Standard Time, one hour ahead of Eastern Standard Time and the same as Eastern Daylight Time. Taxes: St. Kitts & Nevis has a US$17.00 airport departure tax, an additional US$1.50 Environmental Levy and a room tax of 7% and service charge of 10%. Television: Most hotels have 22 cable channels, including CNN, ESPN, the Disney Channel, premium movie channels and local stations. Electricity: 230 volts, 60 cycles. Most hotels have 110 volts, and converters are available. Appropriate Attire: Beach attire is appropriate for the beach but not the town, shops or restaurants. Please refrain from short shorts, bikinis and bare chests in these places. Informal, but conservative, clothing is the standard. Medical Facilities: St. Kitts & Nevis has doctors on call at hotels and a 24-hour Casualty Department. Recompression chambers are available by air ambulance at nearby Saba and in St. Thomas. Pharmaceutical services are widely available. Personal Safety: St. Kitts & Nevis are relatively crime free, but exercise normal precautions. For example, don't leave valuables unattended in rental cars or on the beach. Shopping Hours: Monday through Saturday 8:00 am to noon and 1:00 pm-4:00 pm. On Thursdays, most shops close for the afternoon. Currency/Money: The official currency is the Eastern Caribbean Dollar, which is fixed to the US dollar. Recent exchange rate was US$1.00 = EC$2.70. US currency, travelers checks and major credit cards are welcome everywhere.